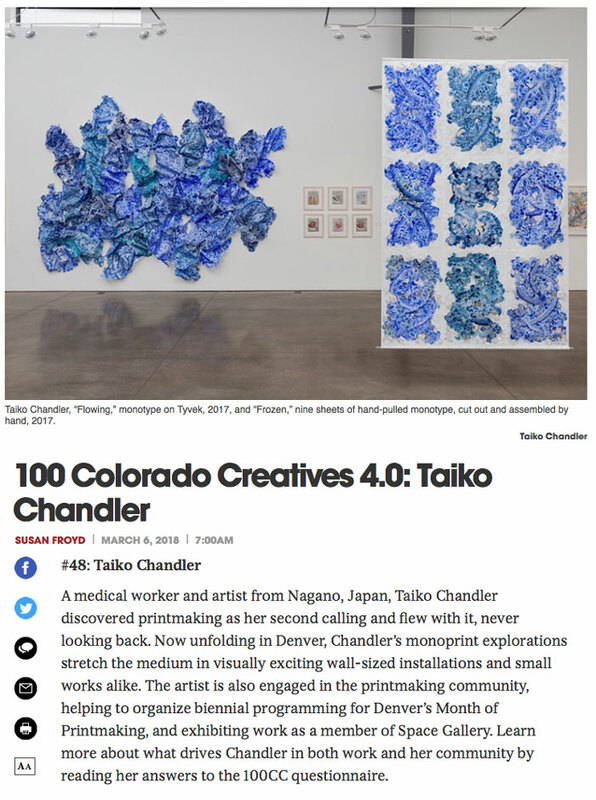 Check out this month’s Denver Westword article on the Top ‘100 Colorado Creatives’ which features two Space Gallery artists: Taiko Chandler & Susan Oehme. 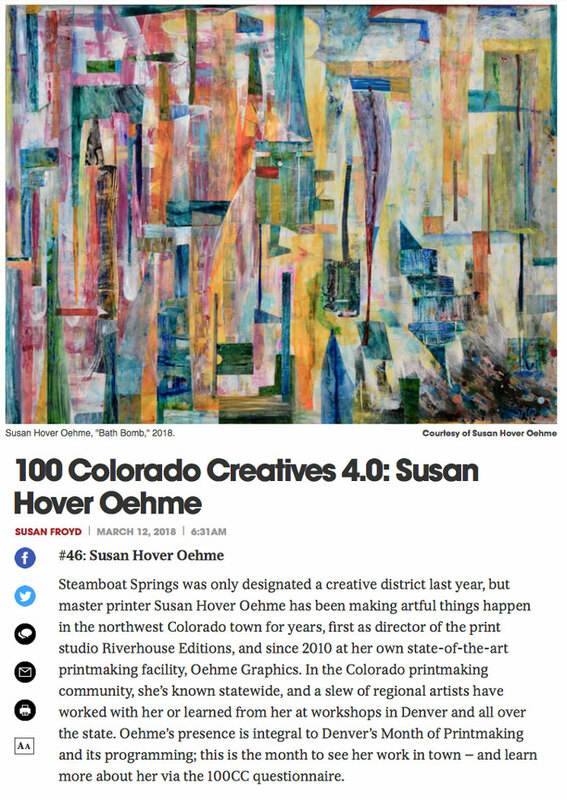 Click on the links below to read the full articles on these amazing creatives. 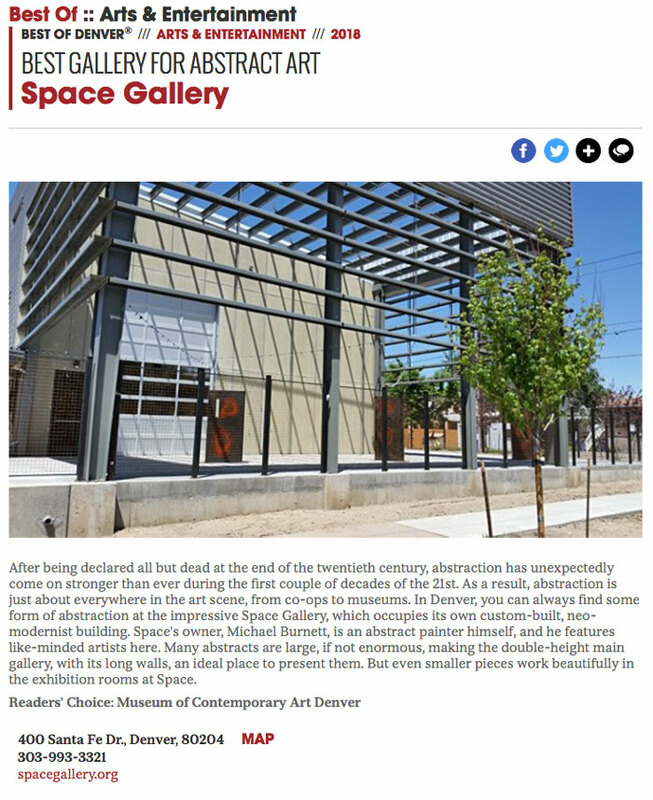 Their work is currently on view in our exhibition ‘INFORMED – Print as an Influence’ which runs through April 7th, stop by the gallery and see their work in person!